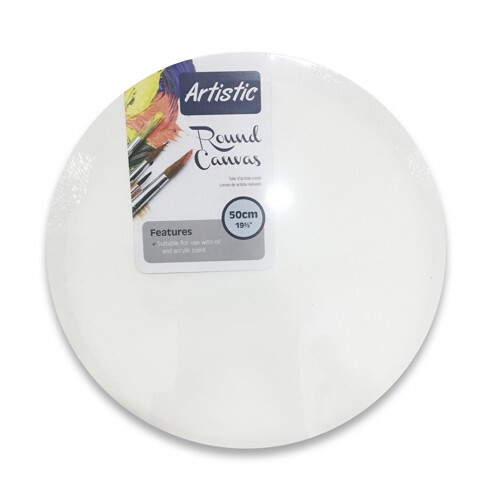 Artist Canvas Round 50Cm. 50.8CM (20IN) DIAMETER | 1.6 X 3CM FRAME. WHITE CANVAS. CANVAS | MDF FRAME. 280GSM CANVAS Packaging: SHRINK WRAP WITH COLOUR LABEL.